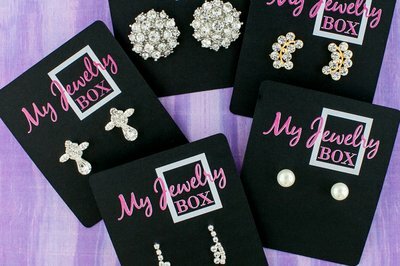 Enter your email address below to receive a notification when My Jewelry Box starts accepting new sign-ups! 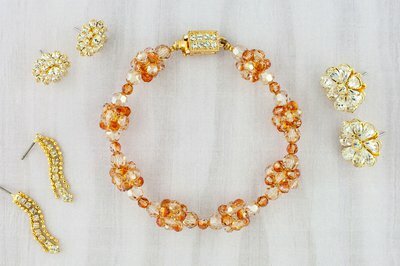 Enter your email address below to receive a notification when My Jewelry Box is accepting new sign-ups again. 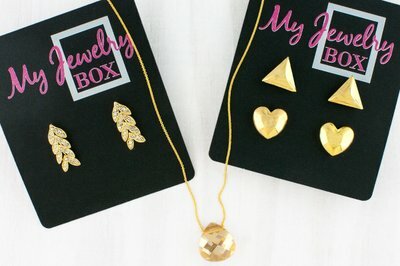 We ship on the 1st of the month. 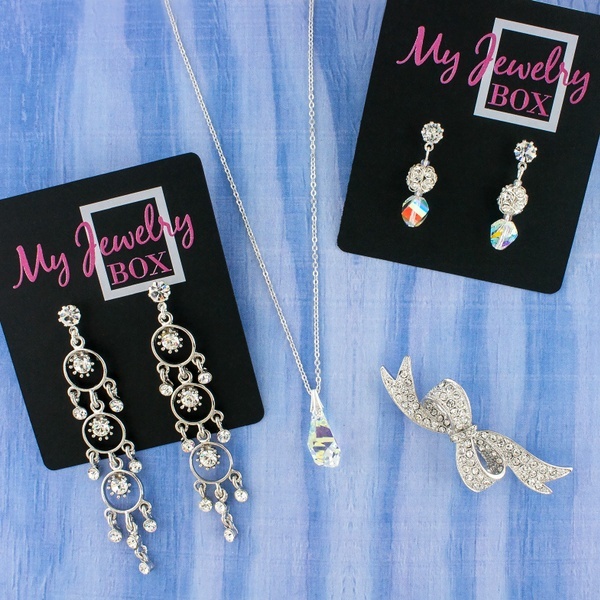 Please order by the 28th to get the current box. Bring on the bling! 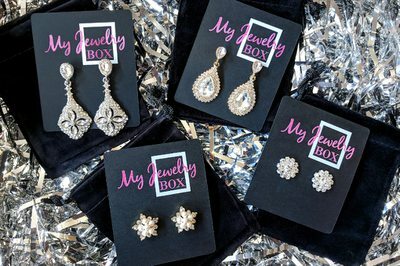 My Jewelry Box sends you 3 to 5 unique and stylish jewelry pieces every month, perfect for adding sparkle to everyday outfits, special occasion attire or your favorite black dress. 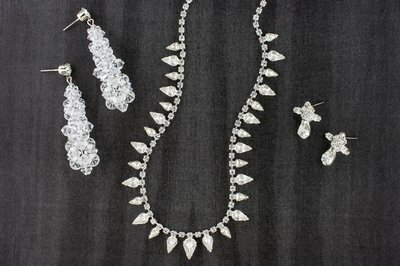 You'll get simple studs, sparkling statement drops and vintage-inspired chandeliers in all sorts of styles and colors. 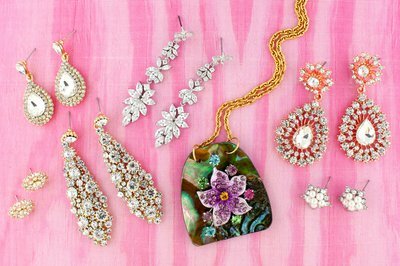 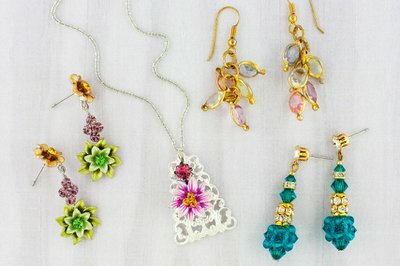 Here's the selection of gorgeous, glittery jewelry our lucky subscribers received. 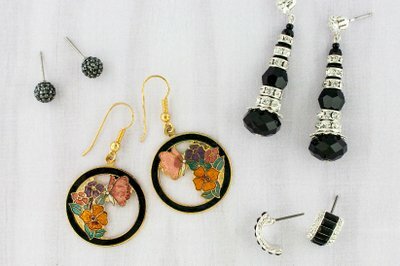 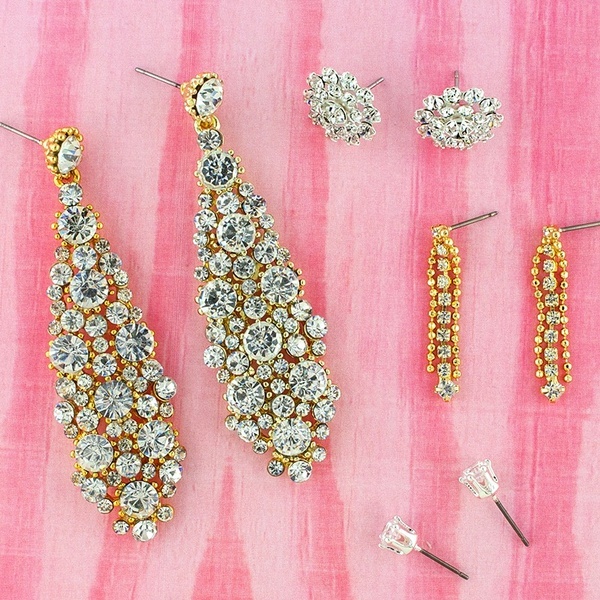 Retail value for these four earrings is $125.00! 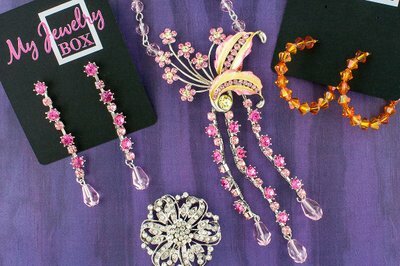 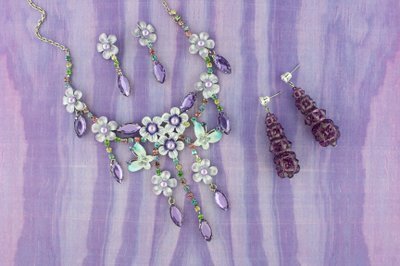 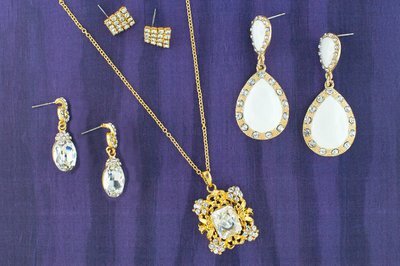 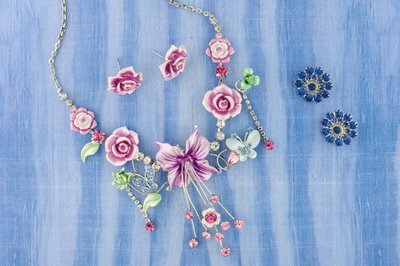 This box includes two pairs of teardrop earrings, a knockout Swarovski crystal pendant and a rhinestone bracelet. 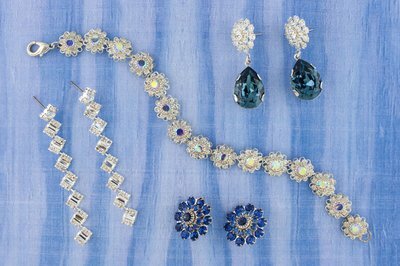 Total retail value: $198. 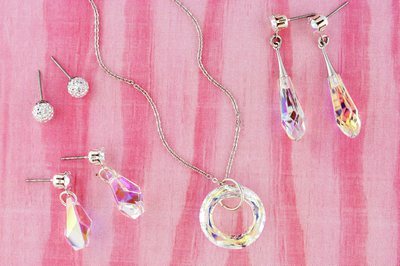 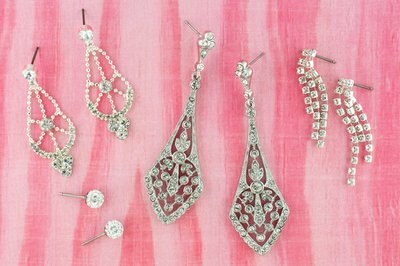 Mixing modern Swarovski shapes with vintage-inspired bling! 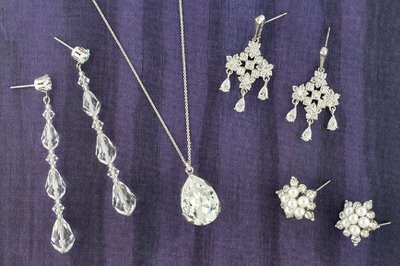 Our lucky subscribers got these fabulous pieces with a retail value of $132!